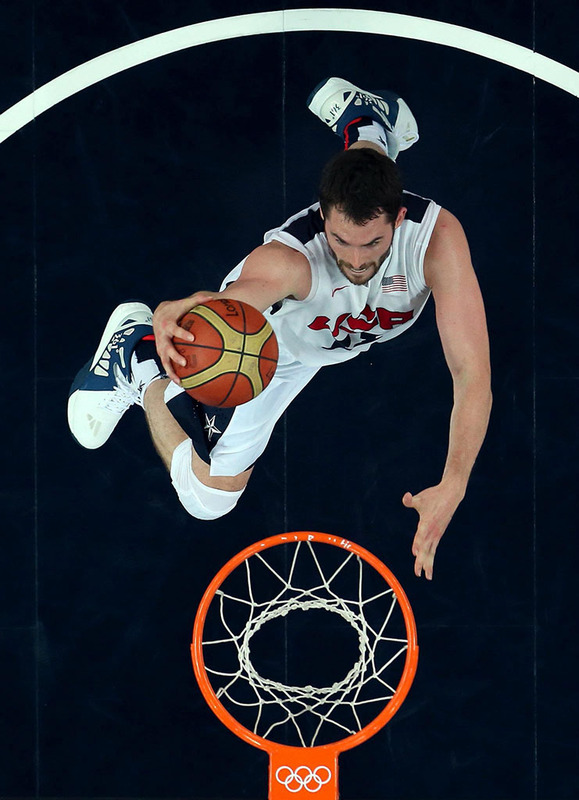 Kevin Love may be giving away a pair of shoes signed by the entire USA Basketball Team. When it looked like we'd see our first 1-12 lineup of Nike Basketball sneakers in the Olympics, Kevin Love decided to play Swoosh spoiler. 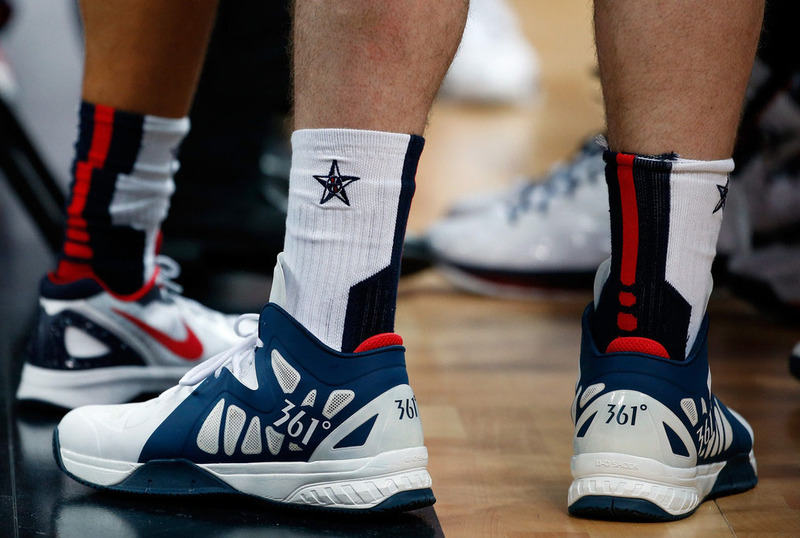 Though he started the exhibition run in the "USA" Lunar Hyperdunk 2012, the All-Star Power forward switched over to his endorsed 361° kicks for Team USA's run toward gold. Though the Swoosh is absent, the China-based company's shoes feature obvious Nike-inspired design cues, reminiscent of models like the Hyperfuse, Hyperdunk and Kobe VII. 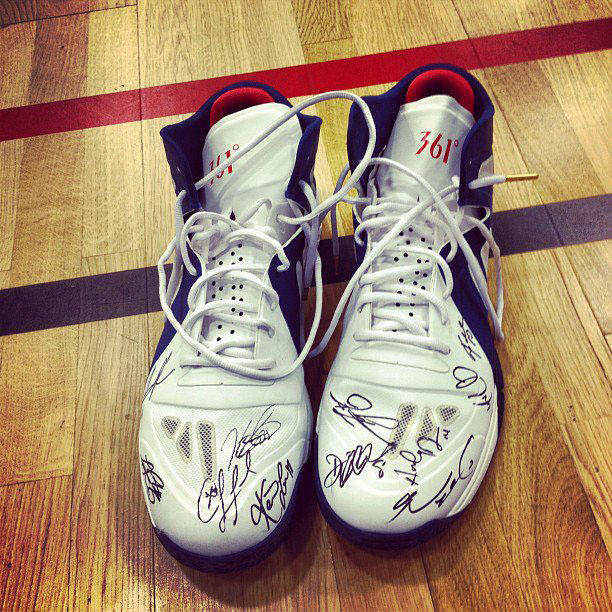 Earlier today, Kevin shared a photo of his 361° shoes autographed by every member of the USA Basketball Team. In the caption, he added "Who wants them?" With that, we assume that he'll be giving them to a fan in the near future. Check out photos of the signed kicks below and keep up with Kevin on Twitter @KevinLove and at Facebook.com/KevinLove42.